We are called to let the joy of our faith shine through the gifts and talents, we bring to our work. 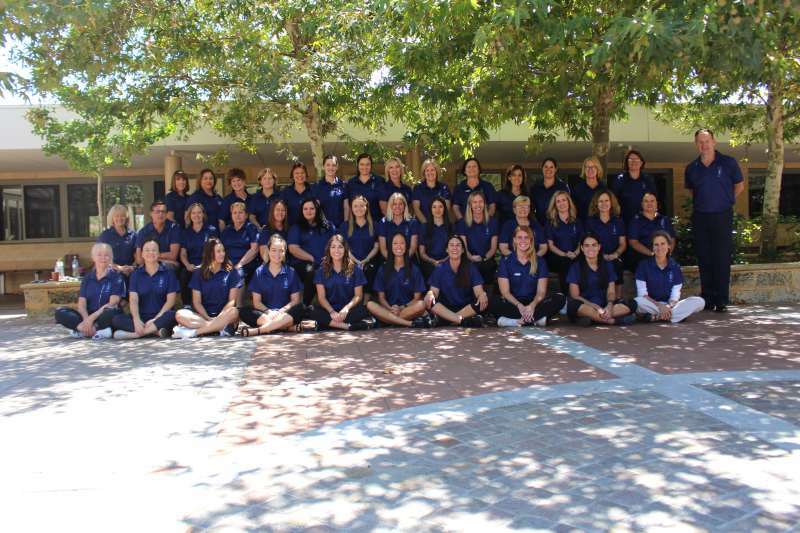 On behalf of the staff of Infant Jesus School, I would like to welcome all students and their families to the new school year. Our dedicated staff have worked very hard over the break to prepare the grounds, buildings and teaching programs for the 2019 school year. We are indeed very fortunate to have the school and facilities that are provided here at Infant Jesus School. I particularly welcome the new students and their families joining the Infant Jesus School community for the very first time. I am sure you will feel part of the IJ community in no-time at all. We all know that children receive the best education when parents and staff work as a team. 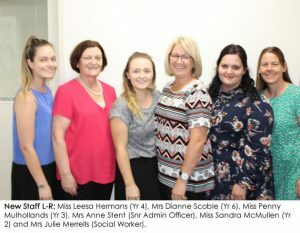 Parents’ enthusiasm, support and involvement are integral to the success of our school as are the skills, dedication and professionalism of teachers. Together, staff and parents can provide educational excellence for every student, so that they can achieve their personal best. Together, we can support one another to provide a friendly learning environment and celebrate our achievements. Education today is a complex engagement because of the intensity and variety of external influences particularly through various forms of media and electronic communications. 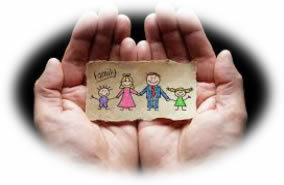 Our school has a special role in assisting every parent with the education of their children, so that all children will develop a sense of personal responsibility and learn the correct use of freedom. Throughout the year, our school will also provide experiences of liturgy and prayer as invitations to know and experience the enormous love and special friendship of God. I hope our school will be a place where staff, students and families have opportunities to experience God’s presence in our lives. I pray that the school year ahead, will see our staff and parents in genuine partnership in our collective role and faith education of the children at Infant Jesus School. It was tremendous to see all our students return to school looking so refreshed and energised for the new year. I couldn’t believe how much some of our students had grown and changed over the break . . . don’t our Year One students look so grown-up in their School Uniform? Congratulations to all our Mums and Dads on getting their children ready for the start of the year. I appreciate it can be very hectic trying to organise all the things necessary for the new school year. Well Done! Thank you also for making a real effort with the School Uniform, as this is most important, particularly as we try and set the standard and expectation for the beginning of the year. Parents would have read about (and heard) some of our priorities and initiatives that we are developing this year. Below I have provided a summary of our priorities for 2019 as we strive to become ‘A LEADing Learning School’. i–Achieve is a whole school initiative that looks at improving individual and whole school performance. All children are encouraged to always achieve their best in all learning areas across the school curriculum. The teachers will look at the progress children are making during the year to ensure that they are continually looking for ways that they can improve. i–Achieve will be seen in the work in the classroom and in activities outside the class. This initiative ensures that children in all year levels become highly motivated and life-long learners. The Principal’s Reading Challenge called i–Read is an initiative to inspire all children to love books (reading) and be highly motivated readers and successful literacy learners. This program provides an exciting opportunity for all children to be further engaged in reading enabling them to set individual goals and to monitor their own progress. i–Read will assist in further developing excellent comprehension skills (school focus area) that will then be applied across all curriculum areas to improve outcomes and enable all children to flourish. i–Perform is a Performing Arts program specifically designed for Year 1 – Year 3 students, giving these children the opportunity to explore the creative arts in small group settings. This new initiative has been created as a way to provide Year 1 – 3 students’ the opportunity to extend their creativity and performance skills in the areas of drama and speech, improvisation, role-play, performance, poetry and movement – to name a few. Children will work in small groups with Miss Condipodero during this program. 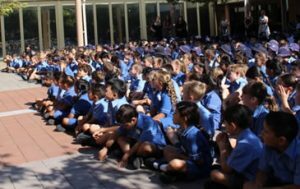 i–Perform will work in a similar way to the Infant Jesus School i-Hour program that the children in Year 4-6 have participated in over the past two years. We will continue to #ExpectGreatThings of ourselves and others. 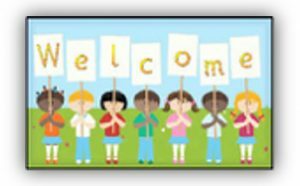 In a special way, I would like to welcome all those who are new to the family of Infant Jesus School. My prayer and hope for you is that your association with the school will be long and lasting, and one filled with many memorable memories. May your settling in be a gentle one. As they too begin their time at Infant Jesus School, I have no doubt that you will join with me in making their transition into the school community as smooth and as welcoming as possible. I am sure that before long, they will also come to experience something of the warmth and school spirit, which is unique to Infant Jesus School. We also welcome back to school, Mrs Lauren Jenkins who is re-joining the staff after taking leave in 2018. Next Thursday, 14th February all parents are invited to join us for a Eucharistic Celebration at Infant Jesus Church commencing at 9am. 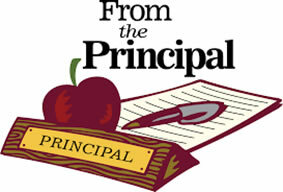 This is a special time for the whole school to come together to celebrate the beginning of the school year. As a community we give thanks for all that God has given us and reflect on our calling and our work at Infant Jesus School in 2019. At this celebration we also welcome our new staff members and all the new families that have joined our school this year. The Year Six students will also be recognised during this celebration. As leaders in the school this year they will be commissioned in their work and will also be presented with their Leadership Badge. We are looking forward to parents joining us on Thursday 14th February. I encourage all families to attend this event on Friday 15th February. This event is coordinated by the Infant Jesus School P&F Association. 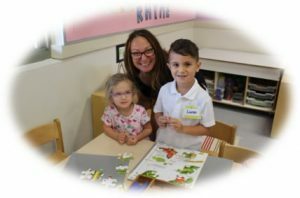 This occasion is a way of celebrating your child/ren’s first few weeks at the school, as well as an opportunity to meet other parents and welcome NEW families to the Infant Jesus School community. This will be held on the School Oval from 5.30pm until 8.00pm. 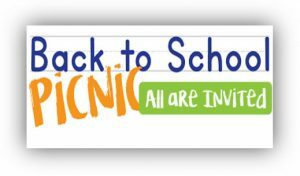 As in the past, you are encouraged to bring your own picnic dinner, or avail yourself to the food trucks which have been organised for the evening. Once again this promises to be a fabulous community gathering to start the school year. We are in the process of stripping the old wood flooring and removing the glue and residue so that we can lay the new floor. As parents will appreciate, this all takes time! At this stage it looks like the hall will be out of action for the remainder of the term, but we will keep you posted. It was fantastic to see so many parents attend the Parent Information Evening on Tuesday. The opportunity for parents to hear about the Priorities and Initiatives for 2019, and then to be informed by their child’s class teacher about some key aspects of the particular year level is most valuable. In talking with parents over the course of the evening there was a real sense of positivity and excitement. Many thanks to the teachers and staff for their efforts in conducting these evenings. Kindergarten places are limited, so it is important that parents within the Infant Jesus School community submit their applications as soon as possible. Forms can be obtained from the office. Once again the school has continued its partnership with the OSH Club to provide before and after school care for our school children. If your family is intending to use this service in 2019 – more information can be found on the Infant Jesus School website or from the front office. As the Veritas will only be published fortnightly the school will be using the Mobile App – ‘Connected’ to communicate with parents and pass on important information. Class Teachers will continue to use Seesaw to keep parents informed of class activities. Download further information on installing the Connect App. I encourage you to make a big focus as this year as many children and young people are sleep-deprived, which impacts on their well-being and their learning. A good night’s sleep consolidates learning, as well as assisting future learning. Children need between 10-12 hours of sleep each day, while teens need a minimum of nine hours. Help kids get sufficient sleep by having a regular bed-time and get-up time each day. Have 45-minute wind-down time each night, and remove screens and mobile phones from bedrooms. Successful students are often well-organised, self-directed and self-motivated. You can foster organisational skills and self-direction by developing simple, age-appropriate self-help skills related to their every day lives. Also use visual parenting techniques (outlined in Spoon-fed Generation) to aid organisation and encourage independence. Such skills as making lunches, packing school bags, and organising after school schedules can be great lessons that impact on how kids perform at school. Bless this school which we have built for the education of our young people. and build Your kingdom of justice, light and peace.